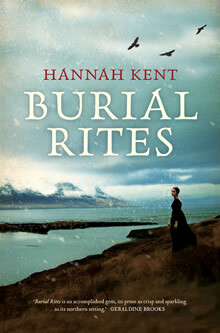 I'm thrilled to announce that I will be visiting England throughout March and April to help celebrate the paperback publication of Burial Rites. It's the second time I'll be popping into the country to speak about my debut, and I'm looking forward to meeting and speaking with more wonderful British readers and book lovers. Most events will include a talk, Q&A, and allow opportunities for signing afterwards. More information about each event, including times, can be found by following the links below. Tuesday 25 March: Mr B's Emporium - Bath, UK. Wednesday 26 March: Waterstone's Cheltenham - Cheltenham, UK. Thursday 27 March: Booka Bookshop & Cafe - Shropshire, UK. Friday 28 March: Beyond Retro Bookclub - London, UK. Monday 31 March: The Girly Book Club - London, UK. Tuesday 1 April: Waterstone's Lincoln - Lincoln, UK. Wednesday 2 April: Waterstone's Doncaster - Doncaster, UK. Wednesday 2 April: Waterstone's York - York, UK. Thursday 3 April: Forum Books - Northumberland, UK. Friday 4 April: The Urmston Bookshop - Greater Manchester, UK. Saturday 5 April: Waterstone's Nottingham - Nottingham, UK.